Set in the turbulent days of the founding of Hong Kong in the 1840s, Tai-Pan is the story of Dirk Struan, the ruler - the Tai-Pan - of the most powerful trading company in the Far East. He is also a pirate, an opium smuggler, and a master manipulator of men. This is the story of his fight to establish himself and his dynasty as the undisputed masters of the Orient. 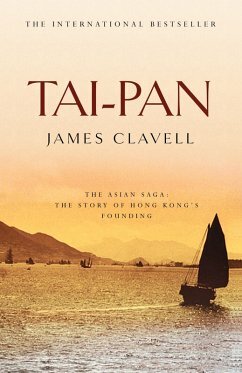 James Clavell, the son of a Royal Navy family, was educated in Portsmouth before, as a young artillery officer, he was captured by the Japanese at the Fall of Singapore. After the war Clavell worked in the film industry producing a number of successful films including To Sir with Love. He died in 1994.